LAPOINTE, ERNEST, lawyer and politician; b. 6 Oct. 1876 in Saint-Éloi, Que., second child and eldest son of Syfroi Lapointe and Adèle Lavoie; m. 16 Feb. 1904 Emma Pratte in Fraserville (Rivière-du-Loup), Que., and they had a son, Hugues*, and a daughter; d. 26 Nov. 1941 in Montreal, and was buried in Rivière-du-Loup. Ernest Lapointe was born into a Roman Catholic francophone family and raised in a traditional rural environment southwest of Trois-Pistoles, Que. His father was a merchant who also helped the local priest with odd jobs, and Ernest, with the priest’s encouragement, attended the Séminaire de Rimouski from 1889 to 1895; in 1893 he obtained the Prince of Wales Medal. He then went to the Université Laval in Quebec City, where he studied law from 1895 to 1898. At the same time he articled with the firm of François-Xavier Lemieux*, a prominent Liberal. He was called to the bar in July 1898 and set up practice in Fraserville, between Rimouski and Quebec. By 1904 his clients were numerous enough that he asked his friend Charles-Adolphe Stein to join him. 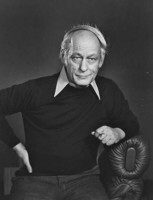 Other associates would include Émile Gagnon, Joseph-Camille Pouliot, and Dominique Lévesque, father of René Lévesque*. While he was a student Lapointe had been an active supporter of the Liberal Party, missing school to campaign for candidates, and as a young lawyer he continued to work at political rallies, especially in eastern Quebec, gaining experience and building support for his political future. 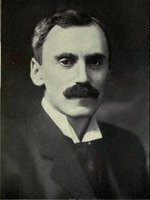 In February 1904, at age 27, he ran successfully in a by-election for the federal riding of Kamouraska, left vacant by the resignation of Henry George Carroll*. On his arrival in Ottawa he knew little about English-speaking Protestant Canadians and at times his positions on linguistic issues were more radical than those of Henri Bourassa*’s nationalists, whom he criticized for speaking English in parliament. However, he would be greatly influenced by the conciliatory approach to potentially divisive questions advocated by his leader, Prime Minister Sir Wilfrid Laurier*, and he would seek to make the Liberals more inclusive and accommodating of different opinions. 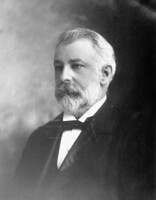 During Lapointe’s first decade in parliament (he retained his seat in the general elections of November 1904 and October 1908), he did not ambitiously seek to establish himself as a leader in the Quebec caucus. He had little influence in the party and did not foresee a lengthy career for himself in politics. He would have preferred a judgeship. He developed a distaste for the patronage side of politics, which he would maintain throughout his career, but since he was an excellent speaker and was determined to do his job well, he gradually acquired a following, particularly after 1911. Numerous Liberal seats had been lost when Robert Laird Borden*’s Conservatives won a majority that year; Lapointe was able to move up in the ranks of the Liberals, now in opposition. He was aided by many colleagues, most notably Jacques Bureau*, who encouraged him to become more proficient in English. (In the House of Commons he would make his first important speech in English in 1916.) During the debate over the Naval Aid Bill [see Borden], he warned that the measure would result in Canada’s becoming “mixed up in all the wars of the Empire, whether just or unjust” and he became increasingly concerned that French Canadians were not being heard in Ottawa. 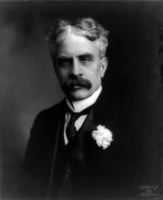 Emerging by 1914 as Laurier’s chief political lieutenant and organizer for the Quebec City district and the eastern part of the province, he had become a leading spokesman for a growing number of Quebec Liberals. During the First World War, Lapointe solidified his position in the party. Laurier selected him to present to parliament in May 1916 a significant motion requesting that the Ontario government reconsider its Regulation 17, which restricted the use of French as a language of instruction in the province’s schools [see Sir James Pliny Whitney*]. In addition to worrying about linguistic matters, French-speaking minorities were also disturbed because they thought that the legislation would limit access to a Catholic education. The motion divided the major political parties: 11 western Liberals voted against it while 5 Quebec Conservatives supported it. More importantly, Lapointe, who had helped to draft the motion, had become one of the strongest voices expressing francophone Quebec’s views of its role in the war. At the outset of the conflict, Lapointe, like his chief, had supported Canadian participation (as had even Henri Bourassa), but he soon criticized Borden’s government (and the English Canadian press) for not doing more to encourage voluntary recruitment of francophones. Knowing that many Quebecers resisted involvement, he considered enrolment without coercion a compromise and declared emphatically that conscription for service overseas was unacceptable. The inhabitants of Lower Canada would never have entered the confederation pact, he argued in June 1917, had they thought it possible that one day their descendants would be obliged to enlist in an army of the British empire. The question of conscription would be important to illustrate his growing prominence in the party and among French Canadians. After the Easter riots of 1918 [see Georges Demeule*], he delivered a powerful speech, condemning the violence, pointing to English Canadian intolerance, and defending Quebec’s interests. At the end of the war in 1918 Canadian society experienced fundamental transformations. Lapointe and almost all French-speaking Quebecers had vehemently opposed the Union government (of Conservatives, independents, and pro-conscription Liberals) formed in October 1917, but the pressures of urbanization and industrialization led to important clashes of opinion within the Quebec bloc. On questions dividing capital and labour, he sided strongly with the workers, particularly when Catholic unions were involved, and he was one of the few Liberals to express sympathy for the workers during the Winnipeg General Strike [see Mike Sokolowiski*]. Business groups favoured a high tariff to protect their manufactured products, while farmers preferred a low tariff which enabled them to buy more goods made in the United States. A low tariff also encouraged the Americans to reduce their duties, thus helping the export of Canadian agricultural products. Lapointe and his rural electors did not have a good relationship with the leaders of the urban-based Liberal group he referred to as the “big interests”: Sir Lomer Gouin*, Liberal premier of the province from 1905 to 1920, and his successor, Louis-Alexandre Taschereau*, who would lead the province from 1920 to 1936. Lapointe’s role in the Liberal Party became clearer at its convention of August 1919, when William Lyon Mackenzie King was elected to succeed Laurier. Some historians have suggested that King chose Lapointe to be his closest adviser or that the two were great friends; Lita-Rose Betcherman has even described them as “soulmates.” However, the King-Lapointe relationship was based on power. King was probably even less familiar with Catholic French-speaking Canada than Lapointe was with English-speaking Canada. When the convention began there had been no widespread support for King, particularly among the Quebec delegates. Still upset over conscription and angry with those colleagues who, like William Stevens Fielding*, had deserted Laurier to join the Union government, they were considering abstention when Lapointe, leader of their left wing, rallied many undecided voters to help King win by a narrow margin. Lapointe and King shared similar socio-economic views, but most important, like Laurier, they were prepared to be flexible on various issues. Because of his position, Lapointe had played King-maker and the new leader knew it. Soon after the convention Lapointe resigned as MP for Kamouraska, and on 27 October he successfully contested a by-election in Quebec East (the seat left vacant by Laurier’s death), thus symbolically succeeding the chief in Quebec. As his base of power expanded from eastern Quebec to include the entire province, he may have wanted to be closer to its centre, and to Montreal and Ottawa. He would represent the riding until his death. In association with MLA Hector Laferté and others, he opened a law office in Quebec City. Over the years he would head various partnerships there, but would not practise during his tenure as minister of justice. 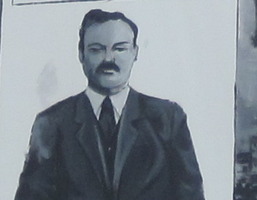 Following the Liberal victory in the general election of 1921, Lapointe was appointed minister of marine and fisheries on 29 December. He had asked for the justice portfolio, but King’s position remained fragile and, despite their similar convictions on many issues, he named Lapointe’s rival Gouin to the coveted ministry. 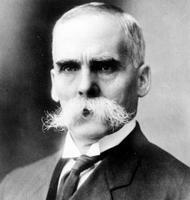 The Liberals had 116 members and required the support of Thomas Alexander Crerar*’s 65 Progressives. Lapointe’s low-tariff, rural-oriented views helped attract Progressives, but King also had to accommodate Gouin’s pro-business group. Because all 65 Quebec seats (56 per cent of the caucus) were Liberal, both Lapointe and Gouin played important parts during the government’s first two years, sharing political decisions related to Quebec. When Gouin resigned on 2 Jan. 1924, Lapointe emerged as King’s Quebec lieutenant and the province’s leading federal politician. In this role he selected cabinet ministers and senators from Quebec and was responsible for numerous other appointments, thus consolidating his leadership. To a lesser extent, his influence extended beyond Quebec’s borders. For example, he had input into the nominations of French Canadian senators from all provinces. 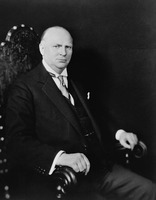 After he became minister of justice and attorney general on 30 Jan. 1924, Lapointe’s status in the party was established, but King’s was still uncertain. The election of 29 Oct. 1925 left the Liberals with fewer seats than the Conservatives, and forced them to rely on Progressive and Labour mps in order to stay in office. Many Liberals and Progressives sought to replace King and looked to Lapointe, who led the Liberal minority in parliament since King had no seat, but Lapointe again supported King and the revolt ended. Once more, King knew whom to thank. A debate that illustrates well Lapointe’s approach to politics involved unemployment insurance and old-age pensions. Although personally sympathetic, Lapointe knew that the Catholic church and much of francophone Quebec opposed the measures. Under pressure from Labour mps, he introduced the legislation, but he used his influence to weaken the Labour proposals and to insist on the importance of cooperation with the provinces. 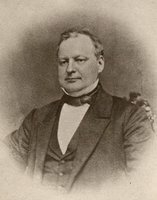 A scandal in the Department of Customs and Excise resulting from the faulty administration of Lapointe’s close friend Bureau threatened to topple King’s shaky minority, and his request for dissolution of the house was denied by the governor general, Lord Byng*. 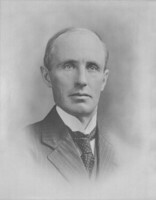 After King’s successor as prime minister, Conservative leader Arthur Meighen*, was defeated in the commons, King took his party to a majority in the general election of 14 Sept. 1926, and he was more secure. Lapointe was reappointed minister of justice and attorney general on 25 Sept. 1926. Lapointe did not have the final say on all questions involving his department. However, on matters concerning Quebec, even in other spheres, his voice often dominated. In 1929 he prevented cabinet discussion of a St Lawrence seaway project, arguing that his province was not yet ready. He played a major role in determining jurisdiction over the increasingly important area of hydroelectric power. In the late 1920s he insisted (despite King’s objections) on guarantees for Catholic separate-school lands during negotiations for the transfer of the prairie provinces’ natural resources from federal to provincial responsibility. He confided privately to Thérèse Casgrain [Forget*] that he supported the women’s franchise in Quebec, but opposed consideration of the subject in Ottawa since it was a question of provincial jurisdiction. Influenced by the Roman Catholic Church, he did not want to make divorce easier. Finally, at a federal-provincial conference in 1927 he refused to go forward with a formula he had devised for amending the constitution in Canada because Ontario and Quebec were against it. “It [federal power] is the child of the provinces; it is not the father,” he had stated in the House of Commons on 18 Feb. 1925. He added prophetically that if Ottawa imposed its will, it would not solve the problem harmoniously [see Lévesque; Pierre Elliott Trudeau*]. The guiding star of his actions, Lapointe claimed, was the effect they would have on national unity. Issues that risked dividing francophones and anglophones were his priority. Throughout his years in office he insisted, despite King’s protests and hesitations, on the extension of bilingual government services, pressing in 1933 and 1934 for bilingual currency and for more posts for francophones in the civil service. Matters of foreign policy were particularly divisive, notably those concerning the status and responsibilities of Canada as part of the British empire. In 1922 Lapointe had opposed the idea of Canadian support to Britain during the Çanak crisis [see King], encouraging the prime minister to be “non-committal,” a position that appeared to be an early form of the “parliament will decide” policy. Ratifying treaties was another important indicator of dominion autonomy and Lapointe set a precedent on 2 March 1923 by signing the Halibut Treaty with the United States without a British co-signatory. King definitely preferred that Canadian representatives alone sign international treaties, but was less eager in the face of British resistance. During the Imperial Conference of 1926, which was significant because it attempted to define relationships within the British Commonwealth of Nations, Lapointe pressured the Canadian delegation for a more autonomist definition of the dominions than King wanted, and the Quebec lieutenant also led the charge to establish legations abroad, which he termed one of the “essential marks” of Canadian sovereignty in a speech he delivered at Montreal’s École Polytechnique in 1927. Lapointe’s eagerness to demonstrate his country’s autonomy from Britain had also been expressed through Canadian policy at the League of Nations. His zeal was complicated by his desire to avoid commitments to collective security. When he represented Canada in Geneva in September 1922, Lapointe, with King’s approval, had forcefully maintained Canadian attempts to dilute Article 10 of the league’s Covenant, which supported joint action against aggressors. But Lapointe was much more enthusiastic than King about “the optional clause,” which called for binding arbitration by the Permanent Court of International Justice in the event of disputes between member nations; this position demonstrated independence from Britain, which initially opposed the clause. A more important question, in 1927, was whether Canada should seek election to a three-year term on the league’s administrative council. 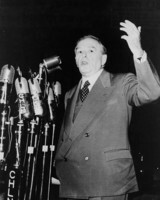 The prime minister continued to show little interest in the league and strongly rejected the idea, telling cabinet that “Canada’s status is well established now.” But Lapointe insisted, telegraphing to Oscar Douglas Skelton, under-secretary of state for external affairs, that it was vital “to advertise Dominion status to international world.” King agreed only after Lapointe threatened to resign. Lapointe pushed King in the direction of independence from Britain faster and further than the prime minister would have gone on his own and, in Geneva, while both hoped to avoid obligations, Lapointe was more willing to see Canada play a visible role. Many writers have suggested that Lapointe and King held similar views on most, if not all, issues. They did share common ideals for socio-economic policy and both (like Laurier) stressed the importance of compromise when formulating policies. But while the anglophone prime minister sought to accommodate many groups across the country, his francophone lieutenant focused on ensuring that the voice of his people was heard in a cabinet with a majority of anglophones. King’s ignorance of francophone Quebec presented a constant problem for his colleague. The prime minister had many reasons for listening to Lapointe. In addition to having put King in the leader’s chair in 1919 and kept him there in 1925, Lapointe continued to head the large Quebec caucus. He was also a convincing speaker, aided by an impressive appearance. Journalist Michael Grattan O’Leary* wrote in 1929 that “Physically, Ernest Lapointe is perhaps the most gigantic man in politics in the British Empire. Standing six feet three inches in his stockings, with massive shoulders and head, and with an ample though not unbecoming girth, he is a veritable giant towering above his colleagues and gives an impression of great power.” In fact, Lapointe was only six feet, but to King, who was not a great orator, who saw himself as a “little fat round man,” and who, according to historian Charles Perry Stacey*, “suffered from chronic insecurity,” Lapointe probably appeared seven feet tall. Lapointe’s role, as he saw it, involved not only influencing policy in Ottawa but also maintaining sufficiently close contact with his people to communicate their sentiments effectively. Thus when the Liberals lost the general election of July 1930 to Richard Bedford Bennett’s Conservatives and some, including Quebec Liberal mla Oscar Drouin*, accused Lapointe of being out of touch, he spent much of the next five years re-establishing contacts. During these years of the Great Depression, he devoted less time to international affairs and much more to economic questions, such as tariffs; his views and impressions of what his province, increasingly anti-communist and nationalist [see Maurice Le Noblet Duplessis*], would accept remained very different from King’s. During his time in opposition, he solidified his reputation as a champion of the people when he was asked by Quebec City to defend its project to municipalize electric power against large companies that opposed the scheme. The Quebec Power Company had hired Liberal lawyer Louis-Stephen St-Laurent*, and the conflict exemplified the divisions within the Liberal Party. 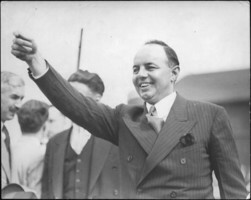 In October 1935 the Liberals returned to power; the size of the Quebec caucus remained large (55 members and 32 per cent of the total 173), and Lapointe’s pre-eminence was now unquestioned. He was offered the leadership of the provincial Liberals, as well as that of the Action Libérale Nationale established by Paul Gouin* in 1934, but he declined both. He maintained close contact with the provincial Liberal Party, worked to minimize its losses to the ALN, and played an important role in the election of Adélard Godbout*, who was also from Saint-Éloi, as its head during the convention in June 1936. His influence remained large in cabinet appointments, particularly those involving Quebec or francophones; however, the prime minister, who did not want a francophone in a potentially divisive portfolio, had denied his request to serve as minister of external affairs. On 23 Oct. 1935 he had settled again for justice and the attorney generalship. He continued to promote the initiation or extension of bilingual services in other departments, as he had during the debate over bilingual currency in 1934. As minister of justice, Lapointe had to deal with several important issues. During a federal-provincial conference in December 1935 he maintained his stance that the provinces would decide when the time was ripe for Canadians to establish an amending formula for the constitution. Although he argued that the depression revealed weaknesses in the capitalist system that could be improved with government intervention, he opposed many of Bennett’s New Deal proposals; alleging that they infringed on provincial jurisdiction, he sent them to the courts for a decision as to their legality [see Newton Wesley Rowell]. He did nothing to encourage legislation in favour of insurance for the unemployed, a minimum wage, and a 40-hour work week, measures he claimed to endorse, and he also questioned the rights of unions to organize, largely because of pressure from his province and his support of provincial rights. Quebecers were among the Canadians most afraid of communism. Duplessis played on those fears when he led the nationalist Union Nationale to victory in the provincial election of August 1936, and he soon introduced the infamous Act respecting communistic propaganda, known as the Padlock Law. It allowed him to order a building used to “propagate communism or bolshevism” (these terms were not defined) to be locked for a year. Lapointe had the option of asking the governor general in council to disallow the apparently unconstitutional law (as he would in August 1937 with the Social Credit legislation passed in Alberta by the government of William Aberhart), but he estimated that public approval in francophone Quebec was too strong. He also refused to refer the measure to the courts, leaving individuals the responsibility of contesting it. He promised King and his cabinet colleagues that he would confront Duplessis’s nationalism later. He feared to be seen as lenient towards communism, and for the same reason he insisted on Canadian neutrality during the Spanish Civil War when he introduced the Foreign Enlistment Act, 1937, imposing penalties on those who joined or assisted armies fighting against Canada’s allies. Since Canadian autonomy within the British empire seemed more secure with the ratification of the Statute of Westminster in 1931, Lapointe became less interested in the League of Nations as a means to establish national status. The test of the league’s collective-security provisions began in October 1935 when Italy invaded Ethiopia and the international community was asked to support sanctions. Canadian representative Walter Alexander Riddell* wished to add oil to a list of items to be denied the aggressor, and throughout November the Canadian proposal received international notice. King was not pleased with the attention but, with Britain encouraging a strong reaction against Italy, he was not as disturbed as his Quebec lieutenant. After persuading the prime minister to issue a public repudiation of Riddell’s initiative, Lapointe made the announcement on 2 December; King then specified that it was only Riddell’s unauthorized action that Ottawa opposed. The Ethiopian crisis had the potential to divide Canadians; Lapointe threatened to resign if Ottawa backed military sanctions, and others in cabinet strongly approved of taking measures in support of the collective security for which the league had been formed. But as British enthusiasm for sanctions waned, King backed Lapointe (claiming he always had) and the threat to unity, as well as the prospect of real collective security, ended. The decline of the League of Nations could only have encouraged aggressive leaders such as Germany’s Adolf Hitler. As the possibility of a major war intensified, King became more eager to announce Canadian support for Britain (as he had done privately during the Imperial Conference of 1937), but Lapointe was firm in maintaining the “parliament will decide” policy of no commitments. Lapointe assured his province that increased Canadian military spending would be used only for defence. During the crisis that led to the Munich Agreement in September 1938, as British prime minister Arthur Neville Chamberlain negotiated with Hitler, King insisted that Canada must declare its support for Britain if war were to break out. He retreated only after Lapointe again declared that he would resign. Although relieved that the agreement had ended the crisis, King was concerned that war might be inevitable. In January 1939 he stated in parliament, without realizing that his words would raise apprehensions in Quebec, that “If England is at war we are at war.” His lieutenant had not been consulted, and he began to wonder how he could stay in cabinet. Lapointe’s solution, a highlight of his career, was the pact that allowed Canada to enter the Second World War united. He could not remain in cabinet if King announced policies that took no account of francophone Quebec, but he could accept anglophones’ desire to proclaim Canadian backing for a war involving Britain if francophones’ desire that overseas participation be voluntary was also respected. This pact was first announced by King and Lapointe in the House of Commons in March 1939, and again when war broke out in September. Equally important, it was presented in convincing speeches by Lapointe that focused on Canadian interests. Many historians have argued that King alone was responsible for the pact, and for all foreign-policy decisions of the time; however, cabinet minutes and King’s diary indicate that Lapointe was as crucial to the pact’s formulation (by ensuring that Quebec’s voice was heard) as he was to its presentation to francophone Quebecers. Opinion polls suggested that Quebec accepted the pact, but Duplessis’s sudden call for an election in October provided a more concrete means of assessment. Lapointe decided that the time had come to confront the premier. He not only actively campaigned but also promised to resign his cabinet seat (as did fellow ministers Charles Gavan Power* and Pierre-Joseph-Arthur Cardin) if Quebecers preferred Duplessis’s Union Nationale to Godbout’s Liberals. Godbout won a large majority (54.1 per cent of the vote and 70 of the 86 seats), and would provide welcome cooperation to implement parts of the country’s crucial war effort effectively. 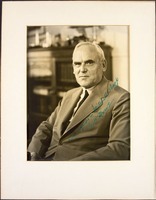 When some pro-conscription anglophone leaders such as Mitchell Frederick Hepburn* also questioned the pact, King and Lapointe agreed to put it to the test in the federal election called for March 1940. Again, the Liberals won a large majority (181 of the 245 federal seats, including 61 of the 65 in Quebec). More than previously, Lapointe used his influence to help lead public opinion, especially in Quebec. Lapointe greatly assisted King with two important pieces of legislation. First, on 5 June 1940 he convinced cabinet to ban Nazi and Communist organizations, a move he had recommended in late 1939 (he had been particularly eager to ban Communist groups since public opinion in Quebec favoured the measure). On the same day the Liberal caucus considered the possibility of national registration for military service, until Lapointe warned of opposition in Quebec. However, on 17 June 1940, after Marshal Philippe Pétain of France announced he was seeking armistice terms, Lapointe concluded that Quebec would now accept the measure and the following day a bill was introduced in the commons. The National Resources Mobilization Act became law on 21 June. King and Lapointe repeated that no legislation sending conscripts overseas would ever be applied. The Quebec lieutenant had ensured support for this course in his province since he appreciated more than King the importance of timing and the great difference for French Canadians between conscription for service overseas for Britain and conscription for the defence of Canada. The fall of France in spring 1940 led many to re-evaluate previous positions and Lapointe, haunted by the belief that the policies he had favoured in the League of Nations had contributed to the Nazi success, suffered greatly. He told journalist Alexander Grant Dexter* that “We had all been wrong in our conception of world peace. We must be prepared to fight for peace. We must keep up our arms and our ability to make war and use them in the cause of peace.” He asked King to let him go, but the prime minister recommended a vacation, and after a few months Lapointe was able to continue. Another delicate issue that Lapointe helped King handle was diplomatic relations with the French government at Vichy. Lapointe, like many in Quebec, had great respect for Pétain in early 1940. One immediate question was what to do with the Émile Bertin, a ship that had been sent by the pre-war French administration to deposit gold in the Bank of Canada; although Britain asked that the ship be held in Canada, Ottawa allowed it to leave, as Pétain had requested. British-French clashes in North Africa also risked splitting Canadians, and King closely followed Lapointe’s advice that Canada not side against Vichy France. Britain also hoped that Ottawa would approve the programs that General Charles de Gaulle, who had emerged as leader of the Free French resistance movement, proposed to set up in Canada; while King admired de Gaulle, Lapointe thoroughly distrusted him because of his arrogance and his unwillingness to discuss his intended actions. Lapointe refused his requests in 1940 for a pilot-training program, assistance in fund-raising, and help with other initiatives. When Lapointe spoke directly to the French in a worldwide radio broadcast in October 1940, he made no attempt to promote de Gaulle’s group. However, by 1941 Pétain was increasingly supportive of Germany and in September, in a broadcast to France, Lapointe backed de Gaulle. He had informed King in August that Quebec opinion was now sufficiently split between Pétain and de Gaulle that favouring the leader of the Free French would no longer cause a problem for the federal government. Canadian relations with Vichy continued for another year, however, at the request of London. During the war, Lapointe continued to focus on questions that threatened to divide Canadians. He rarely participated in discussions on economic issues and had little involvement in the important negotiations with the United States (notably the Ogdensburg and Hyde Park agreements of 1940 and 1941). A strike at an aluminum plant in Arvida (Saguenay), Que., in July 1941 attracted his attention; he defended provincial jurisdiction and the rights of unionized workers in war industries against the minister of munitions and supply, Clarence Decatur Howe*. He continued to insist to most anglophone cabinet ministers that insufficient government services in French exacerbated such incidents. This battle for French services acquired greater significance with the rapid rise in the number of government contracts and in recruiting for the war effort; however, despite his constant efforts, more often than not Lapointe was frustrated by his anglophone colleagues. In 1941 the outcome of the war was far from certain. Lapointe was as convinced as anyone of the need for a total Canadian war effort, and his views had evolved on the necessity of collective security, conscription to defend Canada, and support for de Gaulle. But he remained adamant that conscription for service overseas would hurt national unity much more than it could help Canada’s contribution to the war. As he strongly encouraged French Canadians to volunteer, including his son Hugues who served overseas, the no-conscription promise became an essential element of his appeals. The likelihood of conscription is one reason why he led cabinet opposition to the calls of James Layton Ralston, minister of national defence, for a bigger army in 1941 [see Henry Duncan Graham Crerar*]. “Large numbers of inadequately equipped men must not be sent against machines merely to satisfy public clamour,” he told the Cabinet War Committee in June 1941. He also feared that agricultural and industrial production might suffer. He did not live to finish the fight. He died of pancreatic cancer in late November. King greatly missed his lieutenant. He saw in a large pine tree a symbol of what Lapointe had meant to him and keenly felt the loss of “this great, strong, towering, sheltering gift of God.” Yet in less than a month King had approved Ralston’s big army, invited Louis-Stephen St-Laurent (who did not oppose conscription) to replace Lapointe, and begun planning for a plebiscite to release Ottawa from the pact. It was announced in January 1942 and held on 27 April; conscription was accepted by a majority of Canadians, but rejected by a majority of Quebecers. Ernest Lapointe, often overlooked by historians, was largely responsible for Quebec’s representation in Ottawa from 1921 to 1941. Some anglophone historians such as Donald Grant Creighton* and Thomas Brent Slobodin complain that as prime minister, King allowed Quebec to dominate Canadian policy during this period. But Lapointe did not prevail in all matters; he rarely sought to sway economic questions and had only limited success in convincing his colleagues of the need for bilingual services in the federal government. Certain francophone historians such as Michel Brunet* assert that King’s government completely ignored Quebec’s interests. But Lapointe did influence Canadian policy in matters relating to his portfolio and in any issue that risked dividing anglophones and francophones. He skilfully applied a variety of resources: his command of the province’s large Liberal caucus, his speaking ability, the jovial personality that made him one of the most popular mps in the commons during his term of 37 consecutive years, and, after he became indispensable to King, the threat of resignation. Lapointe successfully ensured a voice for francophone Quebec in Ottawa as long as he held office. 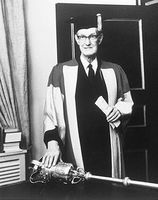 Many of Ernest Lapointe’s speeches have been published and more than 20 of them can be found in the holdings list of Library and Arch. Canada (Ottawa). Library and Arch. Can., R188-0-3; R3884-9-4, vols.11-13; R7648-0-6; R8069-0-5; R8207-0-X; R10383-10-9, vols.423-24; R10383-19-5; R10811-0-X. Le Soleil (Québec), 1919-42. Paul Bernier, “Les débuts de la carrière d’Ernest Lapointe, 1904-1919” (mémoire de ma, univ. Laval, Québec, 1977). L. R. Betcherman, Ernest Lapointe: Mackenzie King’s great Quebec lieutenant (Toronto, 2002). Michel Brunet, Québec, Canada anglais: deux itinéraires, un affrontement (Montréal, 1968). Paul Bychok, “‘La muraille qui vous protège’: Ernest Lapointe and French Canada, 1935-1941” (ma thesis, Queen’s Univ., Kingston, Ont., 1984). Can., House of Commons, Debates, 1904-42; Dept. of External Affairs et al., Documents on Canadian external relations, ed. R. A. Mackay et al. (24v. to date, Ottawa, 1967- ), 3-8. D. G. Creighton, The forked road: Canada, 1939-1957 (Toronto, 1976). R. MacG. Dawson and H. B. Neatby, William Lyon Mackenzie King: a political biography (3v., Toronto, 1958-76), 2; 3. 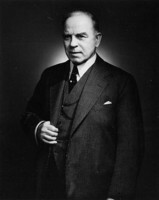 John MacFarlane, “Double vision: Ernest Lapointe, Mackenzie King and the Quebec voice in Canadian foreign policy, 1935-1939,” Journal of Canadian Studies (Peterborough, Ont. ), 34 (1999-2000), no.1: 93-111; Ernest Lapointe and Quebec’s influence on Canadian foreign policy (Toronto, 1999); “Mr. Lapointe, Mr. King, Quebec & conscription,” Beaver (Winnipeg), 75 (1995-96), no.2: 26-31. J. C. McGee, Laurier, Lapointe, Saint-Laurent: histoire politique de Québec-Est (Québec, ). M. G. O’Leary, “Lapointe: an intimate sketch of the one-time village lawyer who has become the chieftain of Quebec liberalism,” Maclean’s (Toronto), 1 Aug. 1929: 2, 50, 53. T. B. Slobodin, “A tangled web: the relationship between Mackenzie King’s foreign policy and national unity” (phd thesis, Queen’s Univ., 1986). C. P. Stacey, Mackenzie King and the Atlantic triangle: the 1976 Joanne Goodman Lectures delivered at the University of Western Ontario (Toronto, 1976). John MacFarlane, “LAPOINTE, ERNEST,” in Dictionary of Canadian Biography, vol. 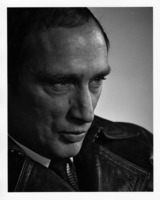 17, University of Toronto/Université Laval, 2003–, accessed April 22, 2019, http://www.biographi.ca/en/bio/lapointe_ernest_17E.html.